#4. If Michelangelo were alive today, he’d be a Conceptual artist. This is a general sentiment that is ubiquitous in the art world, and definitely a contender for the most vile and destructive idea about art. The belief is that real or great artists no longer paint or make pictures, that we have evolved artistically beyond image-making, and there’s no going back. There is a tradition for what I’m doing, and it is, y’know, if you look back in our history, it’s there, y’know. If, uhh, y’know, if some of the people at the turn of the century were here now they wouldn’t be making paintings, they’d be doing art like I’m doing, or some people I respect are doing. Do you know what I’m saying? But people want to see that same format continue, which I don’t think is really very realistic, because the people that we respect in art history were… at their time seemed difficult, and outrageous, and pushing something, and that is basically the history of art, y’know, is that it does push your head around a little. I’m actually a fan of Burden, mostly because his variety of conceptual art doesn’t bore the living crap out of me. He’s the guy who had himself shot in the arm as art, and had himself crucified to a Volkswagen. Let me just correct Burden on his, y’know, art history. Picasso lived to a ripe old age, and he was surely one of the most controversial artists alive and working at the turn of the 20th century. Well, he didn’t die until 1973 (aged 91), which is after Burden’s own first performances, and he never made conceptual art. Worse, when Duchamp (the grandfather of conceptual art) died, Picasso simply stated, “He was wrong”. So, which artists of the turn of the century would have abandoned visual art in favor of non-visual art? Burden’s notion that art was always about “pushing people’s heads around” makes as much sense as saying that popular music has always been about getting a parental advisory label assigned to one’s CDs, so why not just skip all the fussing with instruments, melodies, and rhythms, when you can just deliver the explicit content to piss off the prudes? When Jones says, “Painters who know how to paint are relics from another world” it would be as fair to say “musicians who know how to play instruments are relics from another world”, because conceptual art has as little to do with visual art proper as it does with music. In the same way, you can sit on a metal, folding chair, and watch a “video” projected on a wall in a gallery, but not in a theater, because video is believed to be radical art, and not an offshoot of film. Sound sculpture is visual art, not music. Text art isn’t literature, but visual art. Most or all the new forms of art that replace painting are hybrids or variations of already established other genres of art, or non-art, which they much more closely resemble. Installations are frequently indistinguishable from museum or educational displays. Even Duchamp’s radical new art-form of deciding what to call art, and putting THAT in the museum, is just a twist on curation (this applies equally to Warhol, Koons, Hirst, and others). Every new form of art is categorized as visual art, except visual art, which must be vanquished in order for all the other art forms to be understood as having taken up the baton of fine art from visual art, which lay exhausted in the dirt. If visual art is still legitimate, which it absolutely is (see my article Why the Still Image is Still Vital), than these other art forms are just additional lateral options for creative exploration, and not superior to drawing, painting, or other image-making. 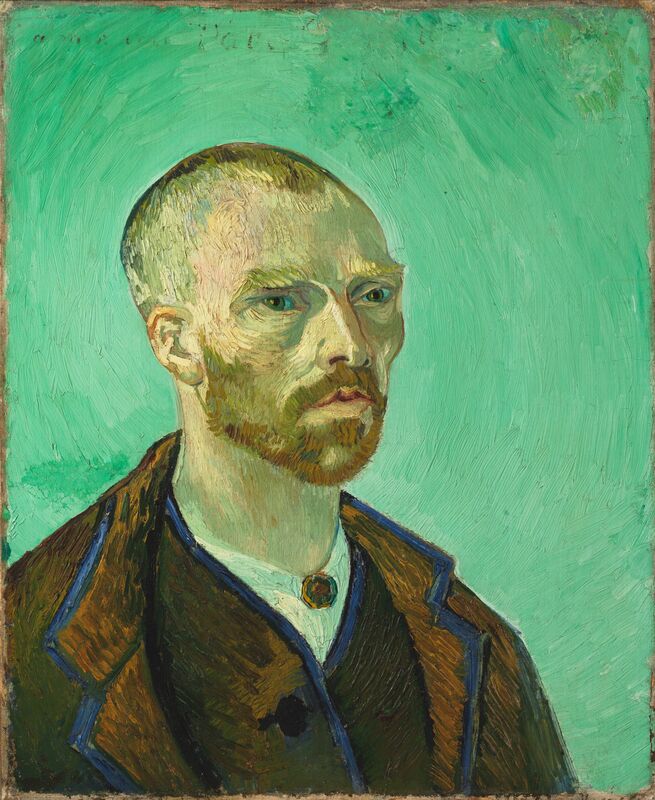 If you don’t think visual art is still valid, consider how popular retrospectives of Van Gogh, or any of the Impressionists are. Recent painters such as Alex Grey or H.R. Giger have an enormous following, despite being entirely outside the contemporary art framework. The end result of all this was to sideline and thwart generations of actual visual artists in an attempt to stifle the visual imagination and visual language. This is why there was no visual equivalent to rock music (excepting rare individuals such as Robert Williams, who insisted on making visual art no matter how out of fashion he was). Maybe this isn’t obviously weird to other people. While in the 60’s-70’s there was a cultural explosion of new music in Rock (and Soul, Blues, R&B…), with thousands of young people participating, there was no such popular equivalent in art, and the equivalent would have been legions of painters making new imagery reflecting themselves and the era they lived in. Consider that if you were a musician in your 20’s, there were plenty of people — famous people — you could look up to and see that a career was possible. If you were a painter you could look up to perhaps a handful of people, none of whom most of us can name. Who was the visual artist equivalent of Jim Morrison, or Janis Joplin, or Aretha Franklin? Don’t rack your brains. There weren’t any. All those artists were thwarted. Stop and imagine what their visual art might have looked like. When the theoreticians in their ivory towers clinically removed the visual from visual art, and declared it a cancer, they removed any of its potential for popular appeal, and indefinitely. Obtuse, intellectual, cynical, and cerebral artifacts as art appeal to a very select audience, and alienate everyone else. Take note: There is no popular form of visual art. Conceptual art questioning what could be considered art at all, and rejecting visual art entirely, had zero popular appeal. If there were a competition in the 60’s-70’s between art and music as to which was more relevant, interesting, nourishing, rich, fun, and entertaining, art didn’t make it out of the starting gate. Art was too busy asking itself pseudo-philosophical questions, such as if a chair was a thing, or a definition, or a photo. Joseph Kosuth. One and Three Chairs. 1965. I’m all for the proliferation of every style of creative enterprise, and wouldn’t have it any other way, but I object to the decades-long (OK, century long) attempt to squelch one form of art in order to justify others. Instead of co-existing with visual art, conceptual art demanded a monopoly on art, and perhaps depended on it, which is why Jonathan Jones needs to say painting is a relic. Visual art, with its requisite visual imagination, visual intelligence, and technical facility, was never “left behind” by “art”, it was banished by non-visual-artists and various ideologues in order to promote their own products and eliminate the competition. Notice the same rhetorical sleight of hand I pointed out in #3, where the contemporary theorist objects to a favorite notion of the past, because it is not 100% accurate, then asserts the diametrical opposite is 100% true, and produces whatever tortured arguments are necessary to bolster their new paradigm. In the past, the word “artist” was associated primarily with painters and sculptors, but it was not true that only painters and sculptors were artists. Now we consider anything and everything art, except painting (which is a “relic” and an impediment to real contemporary art), and anyone and everyone is an artist, except painters (who are obsolete, and whose views are anathema to the flourishing of new forms of art). Visual art is a primary and timeless form of art. The only way to fully eradicate it, or leave it behind, is to pluck out our eyes and become a blind species. Sure, sure, some people passionately disagree with me, and here we need only take note that they are arguing in favor of destroying an entire field of art, a kind of communication, and in so doing crippling our capacity for visual imagination. All hail! There are some well established visual artists in the contemporary art world, such as Peter Doig, Kerry James Marshall, and Dana Schutz, but the idea that painting, and visual art proper are a lost cause still persists. Kerry James Marshall. “Untitled (Studio),” 2014. When someone says painting (which is essentially visual art) is dead, it only means that they themselves are dead to it, which is nothing to boast about, and only signals their own short-sightedness. Posted in abominable ideas in art, art, art criticismTagged art, art criticism, art theory, conceptual art, contemporary art, Jonathan Jones, Painting is deadBookmark the permalink.